Have you ever wondered How you can Access PC From your Android Device? If Yes, then this Article is for you, as in this Article, I’m going to Share How You Can Control PC From Android. There are plenty of reasons to Control PC from your Smartphone like if you are outside of your house and want to Access files on your Computer or your are Watching Movies or TV Shows and you are too lazy to go near your PC and increase the Volume. In this Case, you can Use your Phone as Keyboard & Mouse to Control Your Computer. As we Control our TV using remote, Similarly, we can also Control our Computer or Laptop using Remote. You can convert your Smartphone into Keyboard or Mouse and Control your Phone. Moreover, you can directly Stream PC on Android via Wifi. There are many Method on the Internet using which you can easily Control Laptop from Android via Wifi. Not only Wifi but there are many Apps using which you can Control Laptop From Android via Bluetooth as well. 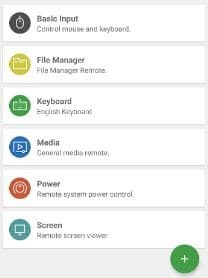 Also, there are tons of PC Remote Control Apps available on Play Store which you can use to Control your PC Remotely from your Android Device. Apart from this, you can also Stream PC On Mobile. Using Streaming Method, you can Play PC Games On Android as well and Control your PC via Android but make sure you have High-Internet Speed to Stream Faster. The Best Part of Controlling PC From Android is that you can Control your PC from anywhere you want but in the Range of your Wifi Network. 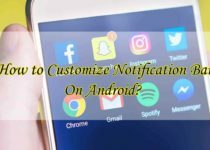 So, if you are looking for How To Control Laptop using Android Phone, then stick with the Article as I’ve shared the 5 Working Method to Control PC Form Android. So, without wasting more time, let’s proceed further and check out How To Control PC From Android? 1 How To Control PC From Android? How To Control PC From Android? With the help of Streaming Method, you can Directly Stream your PC on your Android Smartphone. Just make sure your PC & Smartphone are connected to the Same Wifi Network. Step 2: After downloading, Install the Software on your PC as you installed any other software. Step 3: After Installation, Open the Software and Create New Account. Step 5: After Installation, Open the App & Login to your Account. Step 7: Now, Simply scroll from Right to Left and Click on Apps and then Click On Desktop. Step 8: After Clicking on Desktop, you will be connected to your PC and everything will be Streamed on your Android Phone. You can easily Control your PC using your Smartphone. Moreover, you can also Play PC Games on your Smartphone. But, Make sure you have Game installed on your PC. You can also Check Video Guide On How to Play PC Games On Android from below. In this Method, you can Convert Smartphone Into Mouse & Keyboard to Control your PC Remotely. 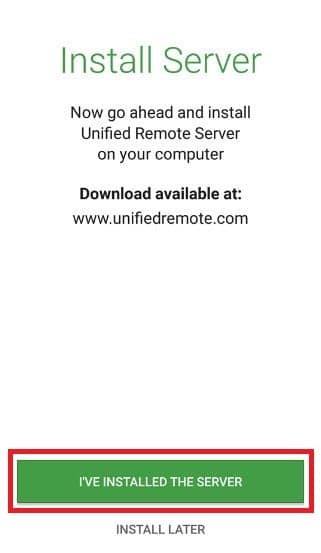 For this method, you have to Download the App named “Unified Remote” which you can download from below link. Step 2: After Installing, Open the App & Login with Google. Step 6: Now on the App Dashboard, you will find Multiple Options. Simply, Click On Basic Input. Done! Now you Mobile has Become Mouse & Keyboard using which you can Control your PC Remotely. Apart from Mouse & Keyboard, you can also check other Options available on the App Dashboard. For Google Chrome Users, Google has its own App for Controlling your PC Remotely from your Smartphone. 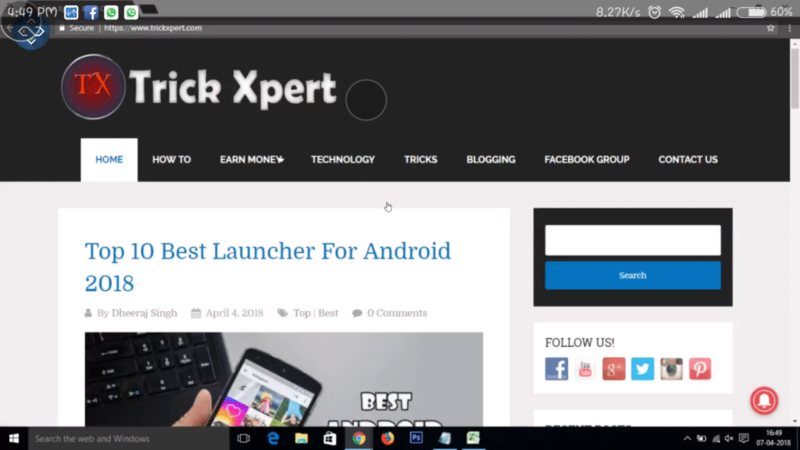 For this, you have to Download Chrome Remote Desktop Extension on your PC & Chrome Remote Desktop App On Your Smartphone. Step 2: Now, Configure the Settings & Enter your PIN you want. Step 4: Login to your Gmail Account & Enter your PIN. Step 5: Finally, Click On Connect. Done! You will be connected to your PC from Android. Computer Screen will be streamed on your Android and you can easily Control Laptop Screen From Android Phone. Using TeamViewer, you can Control PC From Android Wirelessly. In Remote Control Section, you can find ID & Password to Share your PC. Step 2: Install & Open the Software. Step 3: Now, Click On Remote Control Option. From Here, you can Find your ID & Password. Step 5: After Installation, Enter your Remote Control ID which you have got from PC. Step 6: After Entering the ID, you will get Full Access to the PC and you can Perform every task you want. As we have already discussed few methods above, the last method is pretty simple. 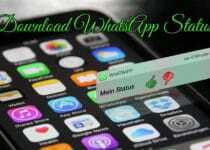 You Just need to Download the Best Remote Control App for your Android Smartphone. There are tons of Free Remote Control Software & Apps available on the Play Store & Play Store Alternative which you can Download and use for Free. By using these Android PC Remote Control App, you will be able to Control your PC using your Smartphone. You just have to be connected to the Same Wifi Network. Once you are Connected to the Same Network, you Simply have to Install PC Steamer for that App and you can easily Stream & Access to your PC via Wifi. 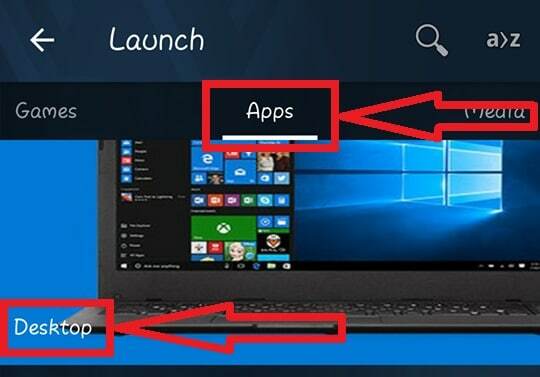 You can use any of the Best Remote Control App For PC or you can also use the Apps which I’ve listed in above method. This was the Article On How To Control PC From Android. Apart from this, there are many other Methods using which you can Control your PC From Android. If you are using PC Streamer, then you can also Play PC Games on Android through it. Also, there are tons of other Remote Control Apps using which you can Control your PC from Android Smartphone. Hope you liked this Article On Control PC From Android. Do Comment below if you have any query or if you know any alternate method. Stay tuned with us for more latest Tricks & Updates.